I’m not sure if this is a temporary condition or a larger trend, but in the past year I’ve done a number of panels about, or at least tangentially connected to, the theme of fall of redemption. (Might be an occupational hazard of talking Tolkien in some of those cases, I suppose.) Perhaps it’s a function of the darkness of much of contemporary speculative fiction, which is rendered in increasingly gray tones; when Brad Beaulieu and I interviewed Terry Brooks last year for our podcast Speculate, he talked about his own weariness with the bleakness he felt in many recent works of fantasy, and the desire in his own work for hope. My own students express similar feelings: raised on a steady diet of dystopian and post-apocalyptic environments and painted as cynical and jaded, by the time they get to my classes they’re often starved for a tale in which triumph might be possible. I’m sympathetic to this view myself, as much as I admire work like Game of Thrones or Joe Abercrombie’s First Law. Relentlessly bleak despair and moral vagueness, even leavened by humor, gets old after a time, and the weight of reading such work can sometimes be intense. So naturally, I decided to write a series about a Jason Bourne-style assassin who kills in the name of his god, experiencing a crisis of faith. Of course, that wasn’t exactly how I planned it or how, ultimately, it went. As I’ve spoken about elsewhere, I’m a big fan of the “one skilled agent vs. the massive, resource-filled organization” story, especially when that agent turns out to have a conscience, and from Jason Bourne to Robert McCall to James Bond I’ve been fascinated with such characters. Some of it has to do with the balance of agile, adaptable individual vs. faceless, overwhelmingly powerful institution, but it’s more than that: it’s the compelling nature of the moral journey of the individual, from working for such an institution to realizing the cost of their actions. In an episode of the television show The Equalizer, Robert McCall asks a friend “Do you know about the damn Sword of Damocles? Well, that’s me. That’s me.” The brilliance of the show derives from the gradual recognition (beautifully played by Edward Woodward in his finest role) that McCall’s past life has fundamentally broken him; he’s already fallen into a moral abyss, and has spent his life since trying to clamber out, one innocent person helped at a time. Jason Bourne has a similar arc in the films, saying at one point that “I’ve tried to say sorry for what I’ve done...who I am. It never makes it any better.” Technically, neither man can be saved. That “technical” part is important, though—because against all evidence to the contrary, against their own seemingly unshakeable convictions that they can’t be redeemed, McCall and Bourne try anyway, because it’s the right thing to do, because to do otherwise is to return to the state of the fall. And in that drive, there is a form of redemption—the nobility of the effort overriding the illogic of the attempt. 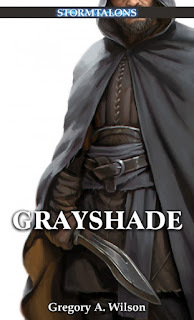 In my novel Grayshade, the first book of The Gray Assassin Trilogy, the title character has a similar decision to make. The most skilled operative in the Order of Argoth, for a decade he has eliminated targets in the name of his god and at the direction of his superiors, driven by his faith that he is fulfilling the cause of balance and justice. But when a mission goes wrong, causing him to question his faith, the foundation on which he has built his life begins to crumble, and soon he finds himself opposing the organization he once served without question. 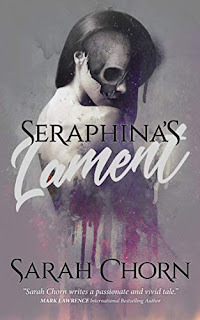 When the magnitude of the deception, and his fall, becomes clear, the resulting internal and external chaos threatens to consume both him and his home city of Cohrelle. Grayshade has every reason to give up his attempt at first resistance, then defiance, then determination to pursue a path of redemption. But as the ancient Greeks taught us, character is destiny; the same characteristics which drove the assassin to pursue his targets without mercy or doubt now push him to seek a different course, and at stake are not simply the lives of Cohrelle’s citizens or the long-term future of the body politic, but a man’s soul. 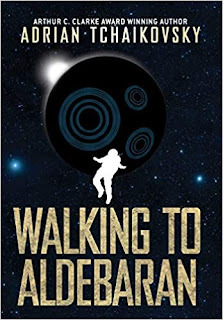 Whether he achieves his desire over the course of the book and trilogy, and whether he survives in the process of trying, is of course something I leave my readers to discover. But the path from fall to redemption, rarely smooth or straight, remains a fascinating one for me to watch a character traverse, and in Grayshade I hope the reader will enjoy experiencing it with him as much as I did writing it about him. Gregory A. Wilson is Professor of English at St. John’s University in New York City, where he teaches creative writing and fantasy fiction along with various other courses in literature. 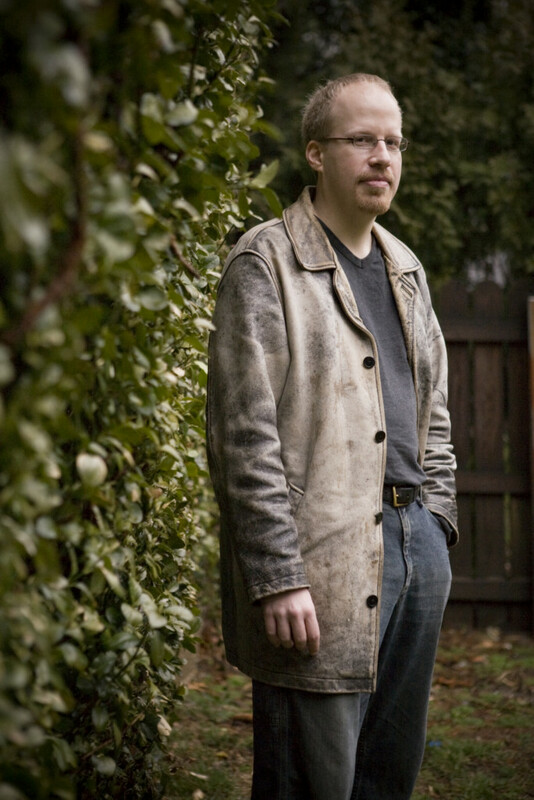 His first academic book was published by Clemson University Press in 2007; on the creative side, he has won an award for a national playwriting contest, and his first novel, a work of fantasy entitled The Third Sign, was published by Gale Cengagein the summer of 2009. 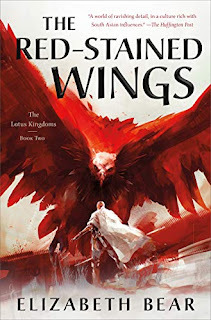 His second novel, Icarus, will be published as a graphic novel bySilence in the Library Publishing in 2015, and he has just signed a three book deal withThe Ed Greenwood Group, which will be publishing his Gray Assassin Trilogy beginning with his third novel, Grayshade, in 2016. He has short stories out in various anthologies, including Time Traveled Tales from Silence in the Library, When The Villain Comes Home, edited by Ed Greenwood and Gabrielle Harbowy, and Triumph Over Tragedy, alongside authors like Robert Silverberg and Marion Zimmer Bradley, and he has had three articles published in the SFWA Bulletin. He is a regular panelist at conferences across the country and is a member of the Gen Con Writers’ Symposium, the Origins Library, Codex, Backspace, and several other author groups on and offline. On other related fronts, he did character work and flavour text for the hit fantasy card game Ascension: Chronicle of the Godslayer, and along with fellow speculative fiction author Brad Beaulieu is the co-host of the critically-acclaimed podcast Speculate! The Podcast for Writers, Readers and Fans, a show which discusses (and interviews the creators and illustrators of) speculative fiction of all sorts and types. He lives with his wife Clea, daughter Senavene–named at his wife’s urging for a character in The Third Sign, for which his daughter seems to have forgiven him–and dog Lilo in Riverdale, NY. For ten years the assassin Grayshade has eliminated threats to the Order of Argoth, the Just God. The Acolytes of Argoth are silent and lethal enforcers of the Order’s will within the sprawling city of Cohrelle, whose own officials must quietly bow to the Order’s authority while publicly distancing themselves from its actions. Grayshade is the supreme executor of the Order’s edicts, its best trained and most highly respected agent. But when a mission doesn’t go as planned, Grayshade starts to question the authority and motives of his superiors; and as he investigates, he soon finds himself the target of the very Order he once served without question. Now it will take all of Grayshade’s skill, intuition, and cunning to find the answers he seeks…if he can stay alive.